If you are unhappy with the appearance of your smile but do not wish to commit to an expensive and irreversible cosmetic treatment, Snap-On Smile® may be exactly what you’ve been waiting for. With this option, Hayward cosmetic dentist Dr. Gary Fong can produce a straight, white, and seamlessly beautiful smile in just two to three short weeks, and at a fraction of the cost required for most cosmetic treatments. If you are looking for a fast, natural-looking solution to address your smile’s imperfections, please contact Gary G. Fong DDS online or call our Hayward office at 510-582-8727 today to schedule your cosmetic dentistry consultation. Snap-On Smile is a set of removable veneers that are shaped, shaded, and sized to ideally complement your smile. Placed directly over your natural teeth, Snap-On Smile is used as an alternative to braces or porcelain veneers for the correction of various bite issues and tooth abnormalities. Unlike other cosmetic and orthodontic options, Snap-On Smile is completely reversible and can be worn as often or as little as you please. This option is also much less expensive than most bonding, veneer, and orthodontic treatments. Snap-On Smile is not meant to be a long-lasting solution, though individual sets can last for several years with proper care. How long yours last will depend on a variety of factors, all of which Dr. Fong will discuss during your cosmetic dentistry consultation. During this consultation Dr. Fong will also discuss solutions such as Invisalign® and porcelain veneers to help you better understand all of your options. To schedule your Snap-On Smile consultation, please contact our experienced Hayward cosmetic dentist today. 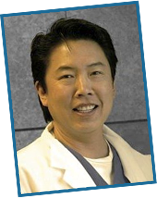 Dr. Fong offers customized cosmetic treatments to men and women living in the Hayward, San Leonardo, and Castro Valley areas of California.